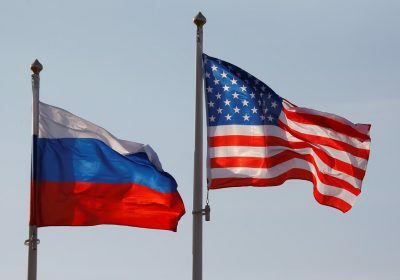 WASHINGTON (Reuters) – The United States has offered to hold talks on arm control issues with Russia on the sidelines of a United Nations meeting in Beijing next week, a senior State Department official said on Thursday. Under Secretary of State Andrea Thompson told reporters the talks almost certainly would include a dispute over a Cold War-era treaty limiting intermediate-range missiles. Washington has pledged to withdraw from the pact because of what it charges is the deployment by Moscow of a new cruise missile that violates the Intermediate-Range Nuclear Forces Treaty (INF Treaty). Moscow has denied that the missile in question, the Novator 9M729 (called the SSC-8 by NATO), violates the agreement, which bars either side from stationing short- and intermediate-range, land-based missiles in Europe. Moscow says the missile’s range keeps it outside of the treaty and has accused the United States of inventing a false pretext to leave an accord it wants to exit anyway to develop its own new missiles. Thompson said the United States has presented Russia with a proposal for a “verifiable” test of the missile’s range but Moscow has not embraced the plan. Unless the Russians come back into compliance with the INF Treaty, the United States will make good on its decision to suspend its compliance with the pact at the end of a 60-day period on Feb. 2, Thompson said.